A. Speed up to beat the fire truck. B. Stop and let the fire truck overtake you. C. Continue and make the turn because you have the right of way. Correct. Remaining stopped will allow the fire truck to negotiate its way around you, minimising the chance of an accident. A fire engine is a heavy vehicle that responds to emergencies. As they are much larger than cars, they have a longer stopping distance, and are less manoeuvrable in traffic. 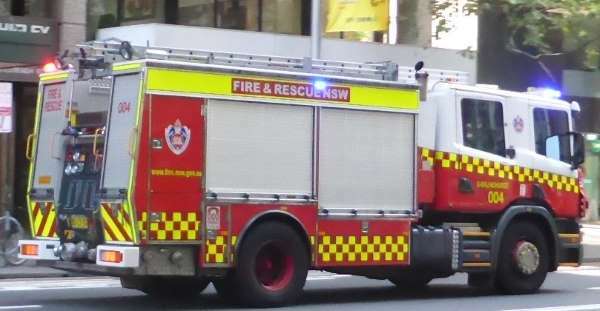 If you want to know what it's like to be in a fire truck on the way to a call, this video from Fire & Rescue NSW shows you, including good views of travelling behind vehicles and passing through intersections. For more about emergency vehicle sirens click here.